Our annual one-week Summer Intensive offers ballet students the opportunity to train with the best and receive high-level instruction in ballet technique, conditioning, pointe work, variations and artistry. Our guest instructors will be Ballet Austin dancers and academy instructors, Jaime Lynn Witts, Alexa Capareda, Brittany Strickland, and Morgan Stillman . Ballet Austin is the 12th largest classical ballet company in the USA and we are honored to bring their talent to Bryan / College Station each summer! Pure Energy Dance Production is proud to offer to dancers the only one-week, high quality dance education/summer intensive of its kind — at a fraction of the cost. NO AUDITIONS. NO ENROLLMENT FEES. NO HOUSING COSTS. Just focused training at a professional level — If your dancer is serious about their training, then this is where it starts! Ladies: pink tights, pink ballet shoes, black leotard. Gentlemen: black fitted shorts, pants or tights, black shoes, white fitted shirt. Jaime Lynn Witts received most of her training from Maxim Ponomarenko, Oleg Briansky, and Mireille Briane in Pennsylvania. She attended summer programs at CPYB, Boston Ballet, and Ballet Austin. She continued her studies with Truman Finney in Ballet Austin's Trainee program before joining Ballet Austin II. She has performed as the principal role in George Balanchine's Allegro Brillante, Swanhilda in Coppelia, and Kate in The Taming of the Shrew, for which she earned her second Austin Critics Table Award. Ms. Witts has also had the honor of performing the role of The Survivor in Mills' Light / The Holocaust & Humanity Project in Austin and on tour. When she is not dancing, Ms. Witts teaches at Ballet Austin Academy where she is the Curriculum Team Leader for Levels 4 and 5. Born and raised in the Philippines, Alexa Capareda received her early dance training at Ballet Regina, the Philippine High School for the Arts, and the dance school of Ballet Philippines. At 16, concurrent with attending the University of Texas at Austin, Alexa began a three-year traineeship with Ballet Austin, followed by a year of study at the Ecole Superieure de Ballet Contemporain de Montreal. While in Montreal, Alexa performed with the school’s company, Le Jeune Ballet du Quebec and guested with Ballet Ouest in “The Nutcracker.” She also attended professional training programs of Hubbard Street Dance Chicago, Northwest Dance Project, and Springboard Danse Montreal. In 2011, Alexa joined Mario Radacovsky’s Balet Bratislava, in Slovakia, as one of 16 founding dancers. There she performed neoclassical and contemporary works by Radacovsky, local Slovak choreographers, and Jiri Kylian’s Falling Angels and Six Dances. Alexa won 3rd prize at the 2013 Festival of Choreographic Miniatures choreography competition in Belgrade, Serbia. Shortly after returning to Austin in 2013, Alexa became a member of ARCOS Dance. With ARCOS, Alexa has performed in the premieres of “Excerpts from a 12-Volt Memory” and “She, Extracted.” She has also danced with Andrea Beckham Dance Collaborative and Jennifer Hart’s Performa/Dance in its inaugural production, “Ignite: Three Works,” winner of the 2014-2015 Austin Critics’ Table Award for Best Dance Concert. Alexa is with the faculty of Ballet Austin’s Academy, Butler Dance Center, and Butler Fellows Program and recently joined Ballet Austin’s artistic staff as Rehearsal Assistant for Ballet Austin II. Alexa obtained her B.A. in English, with high honors, from the University of Texas-Austin in 2015. Morgan Stillman began his ballet training with Project Ballet in Fort Wayne, IN and attended Jacobs School of Music at Indiana University. 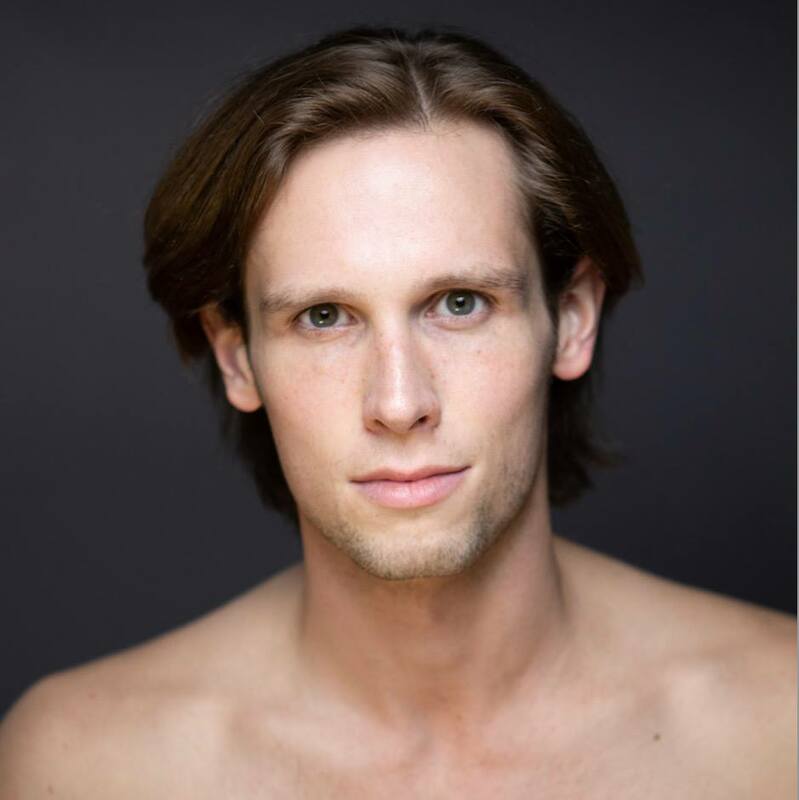 In 2014 he joined Nevada Ballet Theatre and performed principal and soloist roles in James Canfield and Balanchine repertoire. Morgan started at Ballet Austin in 2017.